The owner of Japan’s wrecked Fukushima Dai-Ichi power station is trying this week to touch melted fuel at the bottom of the plant for the first time since the disaster almost eight years ago, a tiny but key step toward retrieving the radioactive material amid a $195 billion clean up effort. Tokyo Electric Power Co. Holdings Inc. will insert a robot developed by Toshiba Corp. on Wednesday to make contact with material believed to contain melted fuel inside the containment vessel of the No. 2 reactor, one of three units that melted down after the March 2011 earthquake and tsunami. 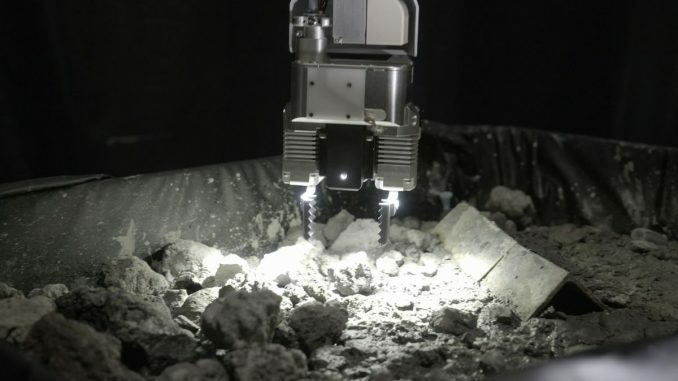 To read about the trail of dead robots that searched for melted nuclear fuel, click here. “We plan to confirm if we can move or lift the debris or if it crumbles,” Joji Hara, a spokesman for the utility known as Tepco, said by phone Friday. Tepco doesn’t plan to collect samples during the survey. Japan is seeking to clean up the Fukushima disaster, the world’s worst atomic accident since Chernobyl, which prompted a mass shutdown of its reactors. Tepco will bear the bulk of the costs — estimated in December 2016 to total 21.5 trillion yen — and faces the uphill task of removing the melted fuel in the reactor buildings. Because of the high radioactivity levels inside the facility, only specially designed robots can probe the unit. The Toshiba machine weighs about 1 kilogram (2.2 pounds) and is equipped with a camera, thermometer, dosimeter and has tongs that can check the solidity of deposits and lift roughly 2 kilograms, according to Hara and the company’s website. Japan aims by March 2020 to determine how to collect melted fuel from at least one of the three reactors and start retrieving it in 2021, according to a government road-map. Decommissioning of the plant is estimated to take 30 to 40 years.